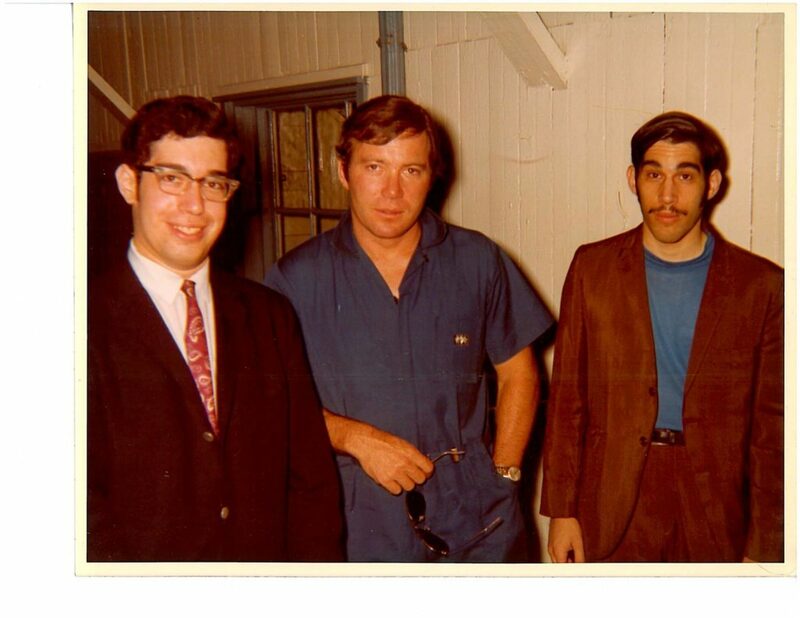 Steve Vertlieb, William Shatner, and Erwin Vertlieb in 1969. By Steve Vertlieb: I interviewed William Shatner for British magazine L’Incroyable Cinema in the Summer of 1969 at The Playhouse In The Park whilst Star Trek was still in the final days of its original network run on NBC. My old friend Allan Asherman, who joined Erwin and I for this once-in-a-lifetime meeting with Captain James Tiberius Kirk, astutely commented that I had now met all three of our legendary boyhood “Captains,” which included Jim Kirk (Bill Shatner), Flash Gordon/Buck Rogers (Larry “Buster” Crabbe), and Buzz Corry, commander of the Space Patrol (Ed Kemmer). It’s funny how an often-charmed life can include real life friendships with childhood heroes. 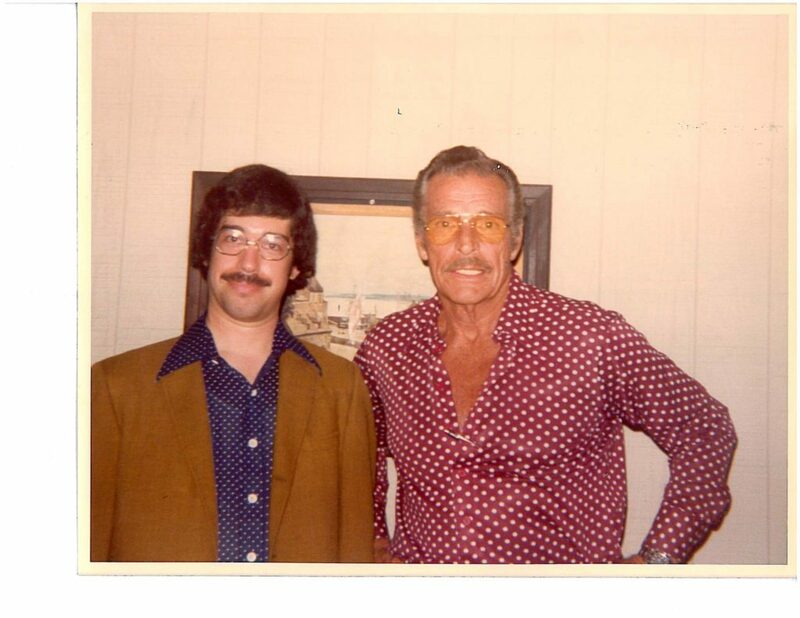 Steve Vertlieb and Buster Crabbe in 1979. 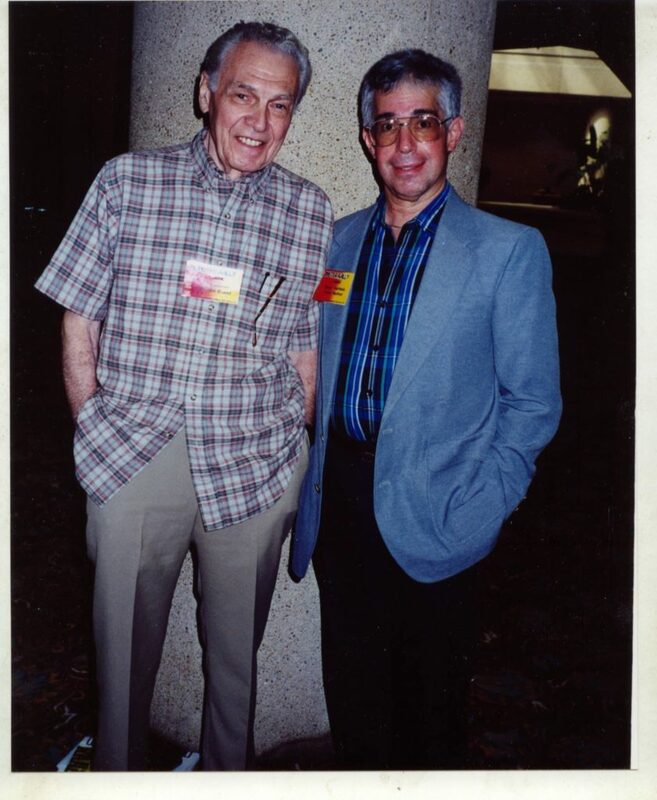 Ed Kemmer and Steve Vertlieb. Together with one of my earliest boyhood heroes and role models, Ed Kemmer, who starred as Commander Buzz Corry of the Space Patrol, broadcast every Saturday morning on ABC Television and radio in the early-to-mid 1950’s. After this initial meeting, Ed and I remained friends through correspondence until his passing. Ed was a great guy. It was a thrill to meet him finally after some fifty years, and to develop a friendship with him in the years before he passed. This entry was posted in Like Show Business and tagged Buster Crabbe, Ed Kemmer, Steve Vertlieb, William Shatner by Mike Glyer. Bookmark the permalink. Great photos and a lovely set of anecdotes, Steve. Thank you for sharing. Incidentally, at what stage prior to 1969 did you first meet Larry and Ed (as per Allan’s observation)? You clearly made one heck of an impression upon the former. That’s a weird picture of Shatner — he actually looks younger/leaner than he did on camera. I know TV cameras of that period are notorious for being uncomplimentary, but I thought OST was done on film.